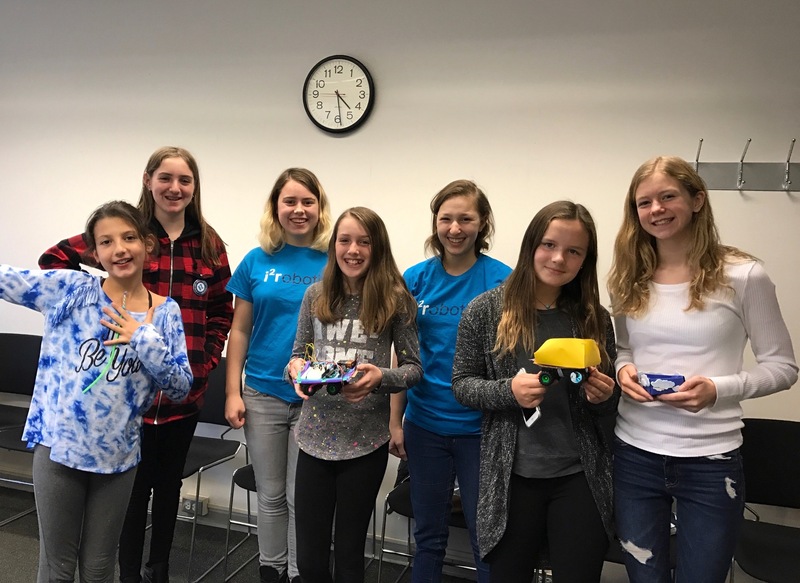 Today, two of our team members, Phoebe and Molly, ran an electrical engineering and computer science (EECS) workshop for local middle school girls at the Westport library. The basis of the project was using arduino’s to control DC motors in small toy cars, and then programming those cars to drive around. The girls with their finished products! 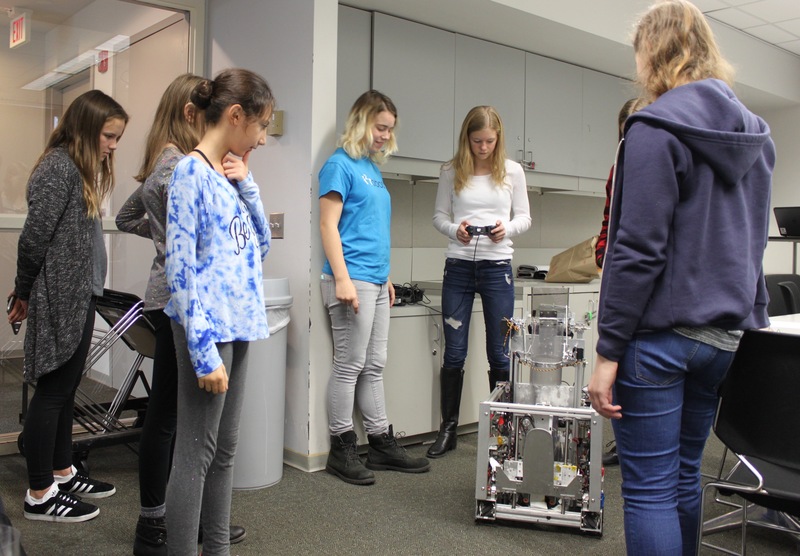 Molly and Phoebe started out by showing girls our old robot, Kratos, i²r's 2014-15 Cascade Effect Robot and introducing them to our team, FTC and FIRST. They also explained a bit about EECS, and how they could use these skills later in engineering and related fields of study and work. Phoebe and Molly presenting to the girls! Then they had the girls start building their circuits and while Molly gave an explanation about the different components they would be using such as transistors, resistors and diodes. She and Phoebe then taught them about basic circuits. Although the girls ran into some trouble on their first try, they ended up building some really great circuits! Phoebe working with Kylie and Sophie! About half way through the workshop, everyone took a brief break to play with Kratos. They loved the Popper and being able to drive an FTC bot! 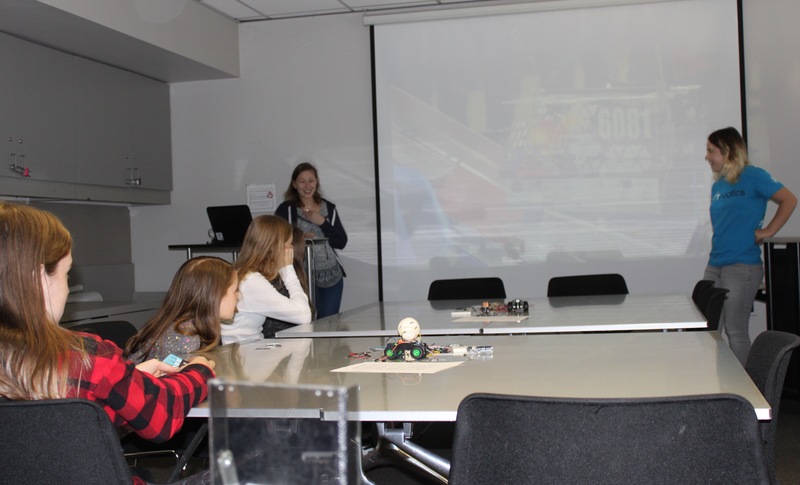 After the break, the girls worked on programming the cars so that they could run. Once the cars were working, they decorated the cars and had a race! 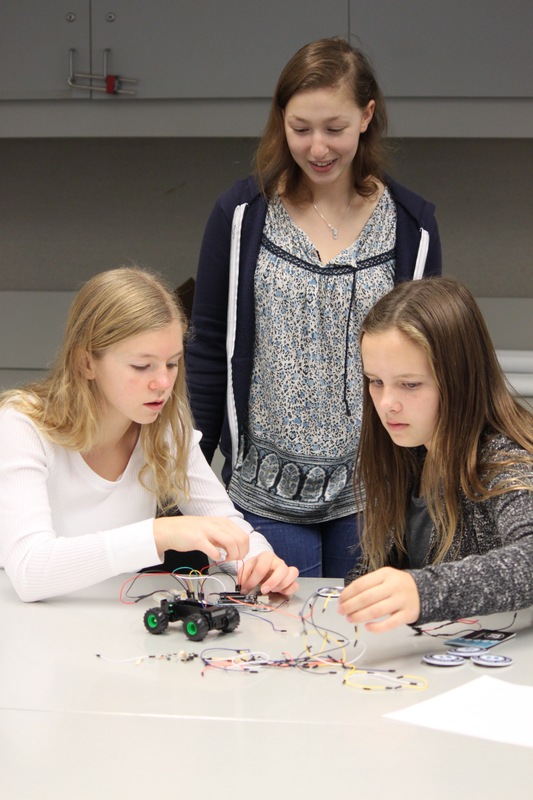 It was a lot of fun for everybody and the girls learned a lot about electronics and programming! Everyone had a great time, and we hope that these girls will pursue STEM and robotics in the future! Thanks to the Westport library for allowing us to use some space!